Summary : Five days is a long time, anything might happen. Five weeks is a lifetime. 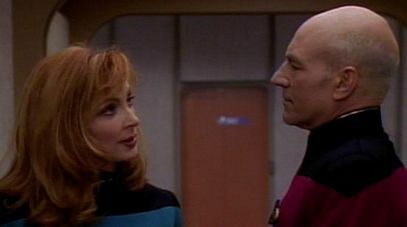 This is a Picard & Crusher romance/adventure. The story is set around the same time as Nemesis, but please imagine Nemesis never happened. This is a "2 book" story, however as the first book "Five Days" is complete in itsef I felt I could post it before completing the second "Five Weeks" section. Book 1 is about 25 pages long.